Hi all! 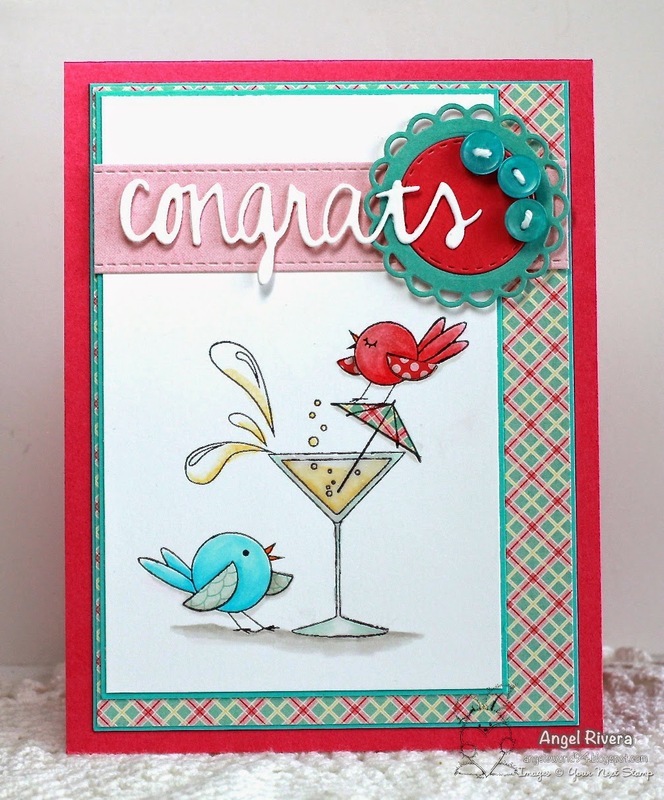 Here's a card I made for the Reverse Confetti August Color Challenge. I used the dotted lemon image from the Fresh n' Fruity set to create this cool retro background (at least retro to me!). I alternated between the fully inked image then overlapped it with one stamped off once. I added a couple of the Diagonal Stripe Pretty Panels dies, one in nightshift navy. The sentiment is from their Lots to Say set and was embossed with gold EP. A few gold enamel dots finish it up. Hi all! 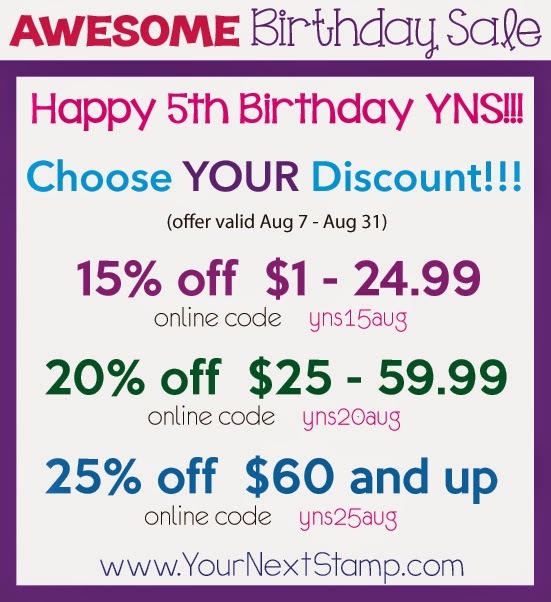 We wanted to finish off our birthday month with a bang so welcome to our YNS Birthday blog hop! 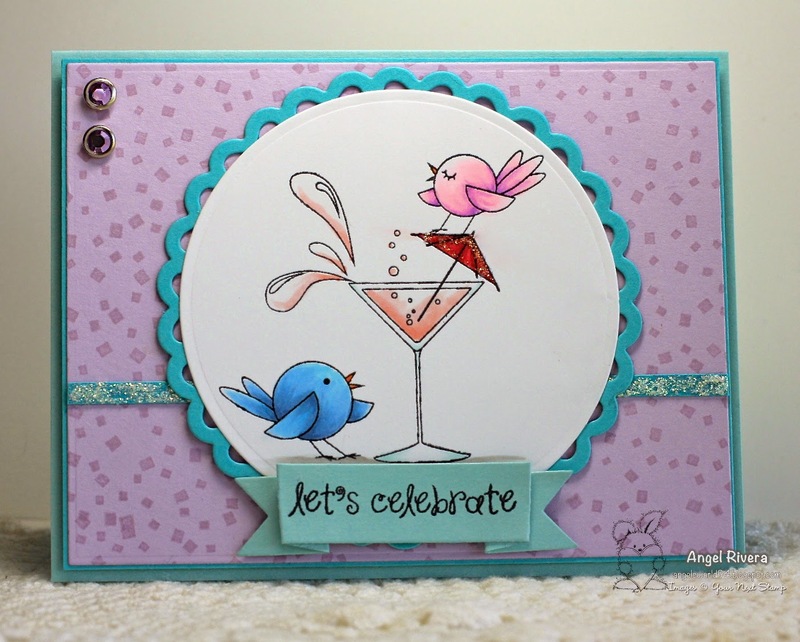 Here's my card using the newly released Martini Birds stamp set! I colored them with Copics and added some stickles to the little umbrella. 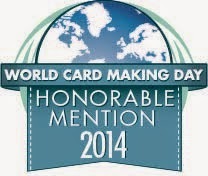 The sentiment, also from the set, was cut out using one of the 3D Banner dies. 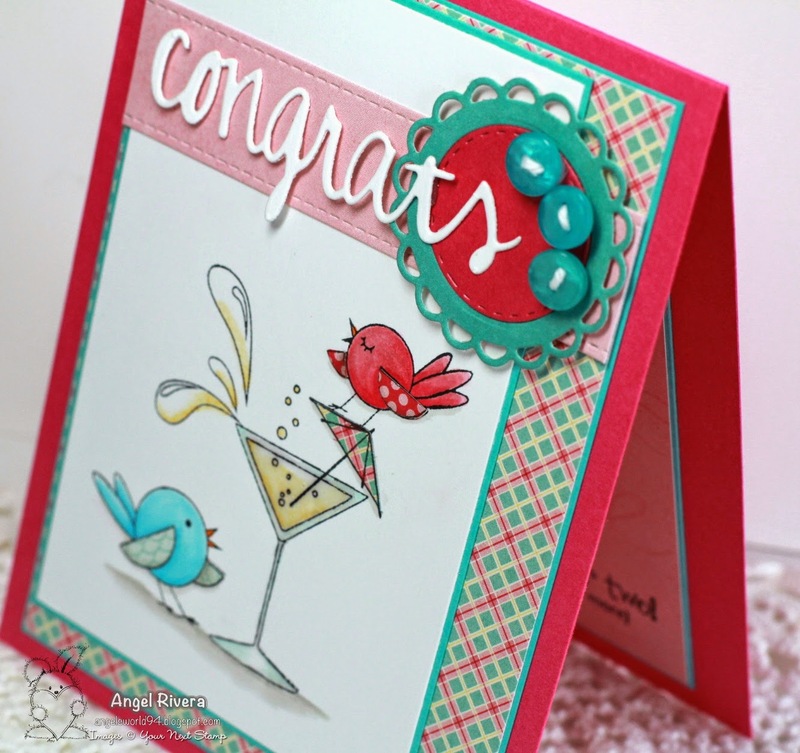 I stamped the confetti stamp in the set in grapesicle ink to create the background. I added more stickles to a strip of card stock and some blingy brads (they're purple in case you can't tell) for added sparkle! 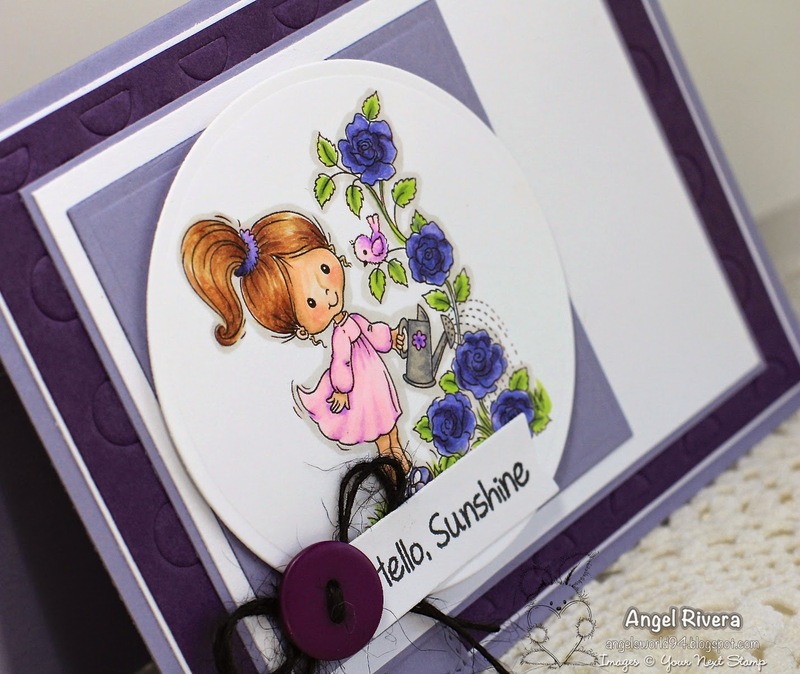 The card base is pool party and I used Blu Raspberry for the layering. I like this sentiment because it covers a variety of events - from birthdays to promotions and several things in between! And guess what?! Our sale is still going on so take advantage and get yourself some goodies!!! YNS Fun Friday - Hello Sunshine! Hi all! Happy Friday! I'm super thankful for THIS particular Friday because that means we have gotten through our first week of school here in OK! Phew! One down, how many to go, lol?? Anywho, here's my card for our current YNS Challenge. I used that yummy inspiration picture for my card. Here's Tobi Watering Rose digital stamp, which I colored with Copics. 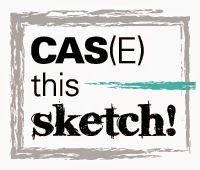 The sketch is the SSSC232. I broke out some old, unloved SU card stock for this card. I have it, why not use it, right?! That's my goal these days! 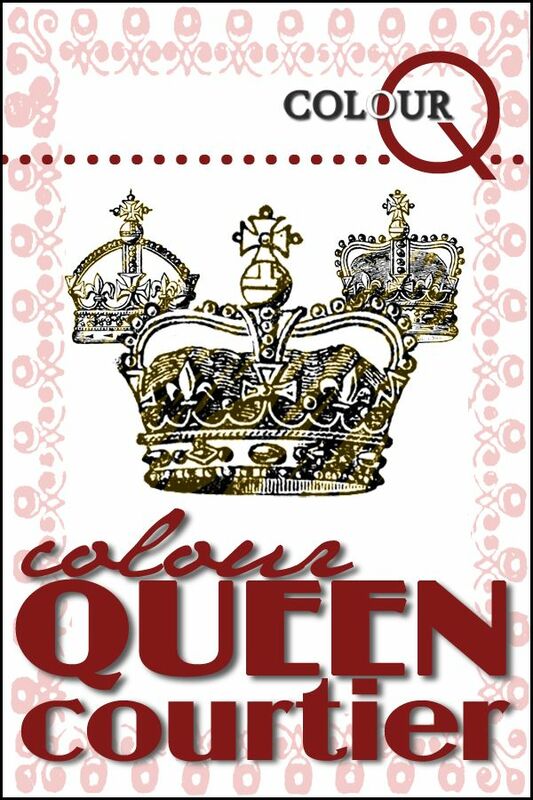 Plus, these colors went so well with the challenge! Many different shades of purple here! Thanks for stopping by! Be sure to play along with us for a chance to WIN!!! Hi all! 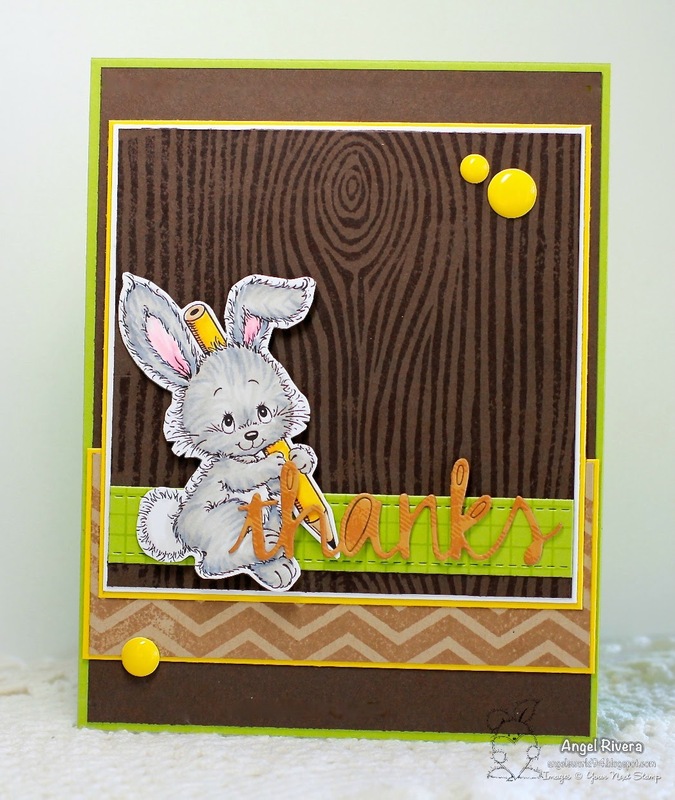 Here's a fun card I made for the Paper Smooches guest designer search. The Wish Big and Happy Birthday are both from their Birthday Sampler set. 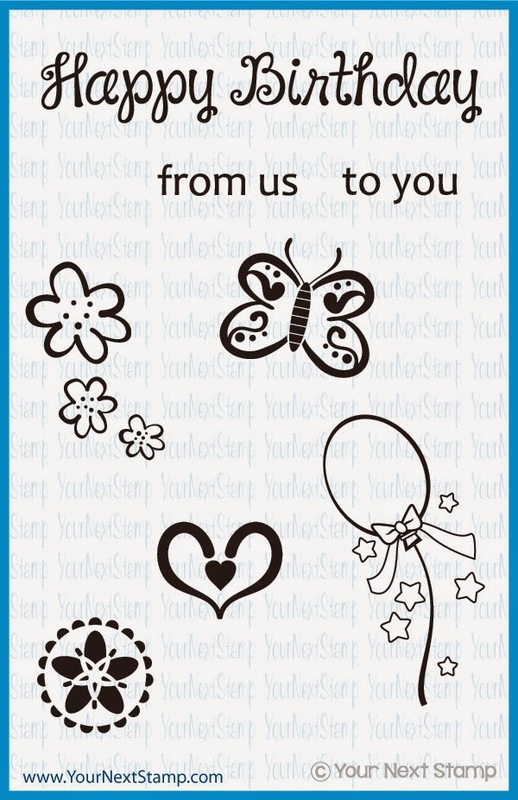 The trio of flowers are from their selection of FREE Digi stamps! How cute, right? And free?!!! Sah-weet! I colored them with Copics then fussy cut them. I cut the sentiment out with my pierced circle STAX. The stitched lines add a little more interest to the background layer. The 'Wish Big' sentiment was stamped in insulation pink for a tone on tone look. Hi all! 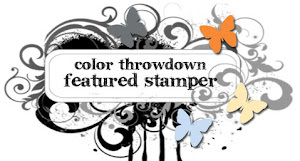 Here's a card I made for one of the DTGD challenges on Splitcoaststampers last week. The cupcakes and sentiment are from the BB Sweet Birthday Wishes set. 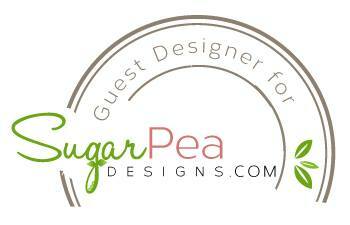 I used a few die-namics and Blueprints, as well as felt for the button to add texture and interest. Hi all! Here's my take on this month's YNS Fun Friday sketch challenge. 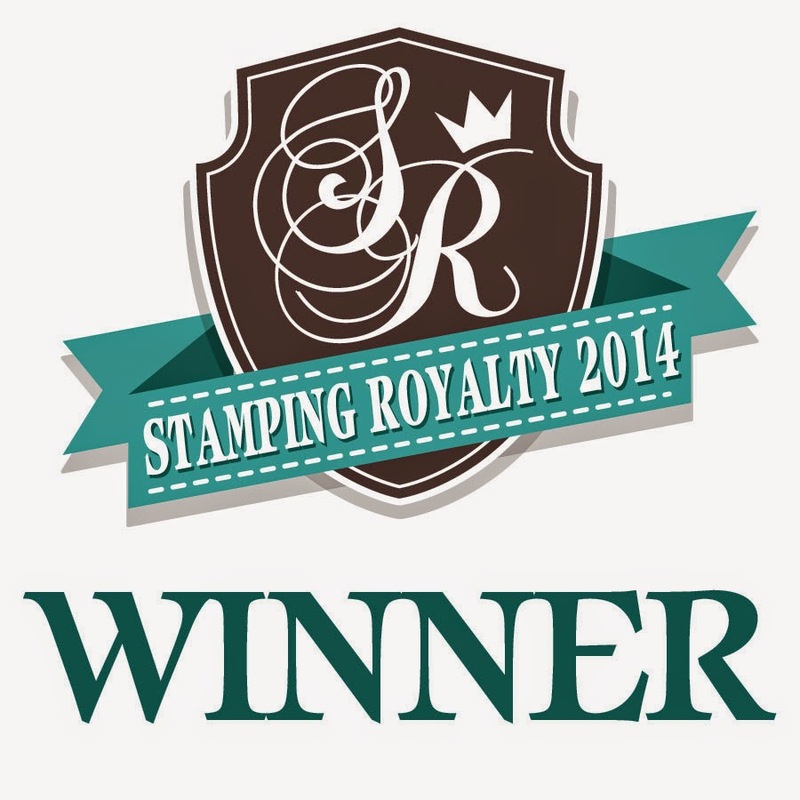 I used the Just to Say digital stamp. The 'thanks' word is a NEW die available at the YNS store! It's part of a 4 word set that I know you'll LOVE! I colored him with Copics then fussy cut him. I used sour apple card stock for my card base, then chocolate, lemon drop, kraft and white for the other layers. A nice 'going back to school' color combo, right? Hey, at least I already have a teacher appreciation card ready! 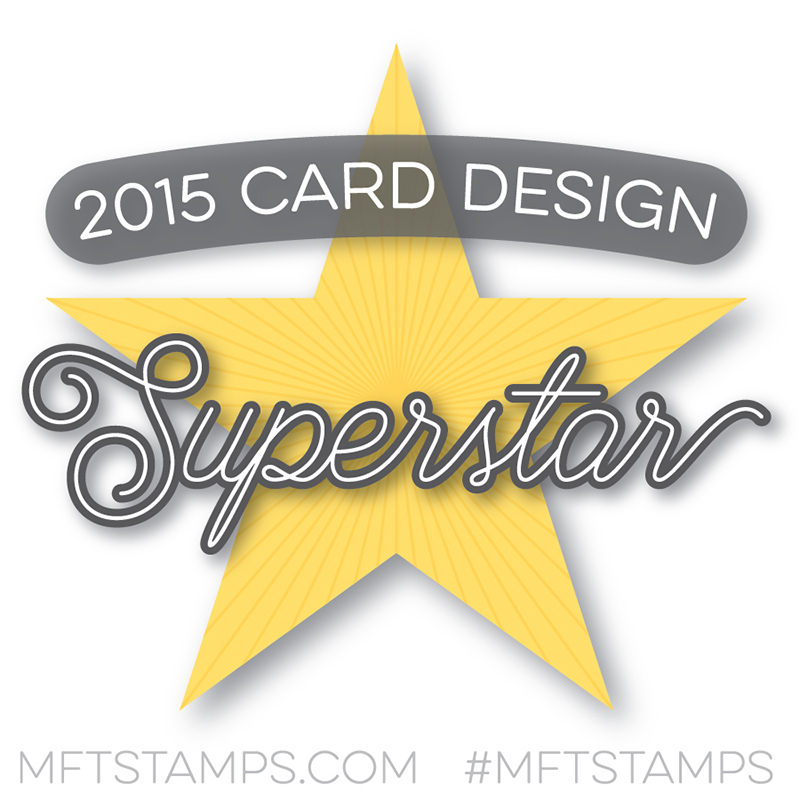 *wink* I used a few different stamps to create my own designer paper. 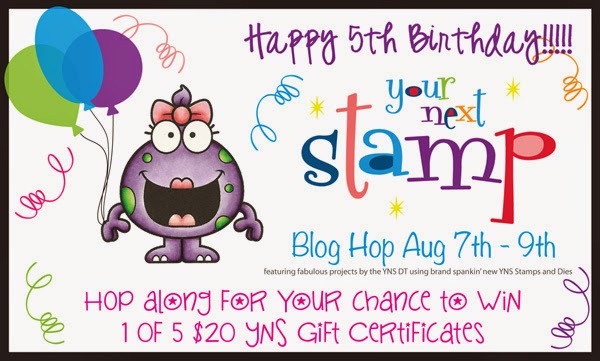 The hop begins on Bonnie’s blog and if you've been hopping along, you should have come from Julie's blog. Make sure you hop around to all of the blogs featured in the link list located at the bottom of this post for lots of inspiration using the new products! For my project, I used Martini Birds! Aren't they adorable?! I colored everything with Copics, except for their wings and the umbrella - those are paper pieced! I also added glossy accents to the glass. You see that supah cute scallop, the stitched inner circle and the "congrats"? Those are ALL NEW YNS dies!!! Wahoo!!! You KNOW I loooove me some dies! I adhered the 'congrats' using rolled glue dots. A trio of tiny Blu Raspberry buttons adds a little something extra. 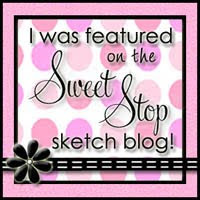 The sketch is from the Dare to Get Dirty Challenges on Splitcoaststampers! You need to join and become a Fan Club Member to play along - so go do it! Don't miss out on the FUN! I finished off the inside with the squiggly stamp from the set and two of the sentiments! How CUTE is this set?!!!! And it's yours FREE for just spending $40! Thank you so much for stopping by today and hopping along with us! 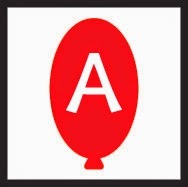 Now it's time to head on over to Thanh's blog, but before you go, don't forget to leave a comment and collect your balloon letter. Thanks for stopping by!